There was no ‘constitutional’ arrangement in place in the 14thcentury. For many years, father had been succeeded by son, and there had been no need to set out any arrangements for any other contingency. Late in Edward III’s reign, the king, who was losing his faculties and very much under the influence of Gaunt, produced a document which purported to settle the crown on Gaunt in the event of Richard II’s death. Richard was, of course, only a boy at the time. The arrangement was not binding on Richard II, or on Parliament, and it seems to have been forgotten. Surprisingly, Henry IV did not use it as one of the supports of his claim. Of course, everyone expected Richard to have a son, and it was only when it became clear he wasn’t going to have one – at least by Anne of Bohemia – that it became an issue. Richard appears to have nominated Roger Mortimer, Earl of March as his heir and this is stated as outright fact by the Westminster Chronicler, writing at a time when all these people were alive. Mortimer was the ‘right heir’ by the standards we use today, but his claim came through his mother, who was Gaunt’s niece. The snag was that Gaunt was incredibly powerful. He had vast lands, a whole army of retainers – originally recruited, in many cases, to help him conquer Castile, and an almost unlimited amount of cash. He made Warwick the Kingmaker look like a country squire. Hence the politics of the 1390s began to get interesting. Had Richard died in (say) 1395, there might well have been a civil war. Then several things happened in quick succession. Richard, to secure peace with France, married an eight year old girl, meaning that there was no hope of a direct heir for 7-8 years at best. Bolingbroke, Gaunt’s heir, was banished. March died in Ireland, leaving a young son to succeed him. Gaunt died. Richard appears to have nominated Edmund of Langley his heir, and after him Edward of York ‘the King’s brother’ – later 2nd Duke of York. Richard toddled off to Ireland, leaving Langley in charge of the shop. Bolingbroke invades England – collapse of stout party. Only two earls (Northumberland and Westmorland) backed Bolingbroke, but the vast army of Lancastrian annuitants, retainers and general hangers-on crushed all organised resistance. After some acts of terror that make Richard of Gloucester seem perfectly moderate by comparison, Henry captured Richard and his remaining supporters. In the circumstances it was inconceivable that anyone but Henry would be chosen by the Parliament as the new King. His armed supporters outside, and the backing of the majority of the Londoners made sure of that; his actual claim though was based on inheritance, and although Ian Mortimer has attempted to spin it otherwise it appears he relied mainly on his descent through his mother from Henry III. (Because in Henry’s fantasy world, Edmund ‘Crouchback’ was older than Edward I.) In other words Henry himself claimed through the female line! At no point (bewilderingly) did he claim to be the heir male of Richard II. Though on the face of it, he was just that, and many peerages were inherited on heir-male terms, so it would have been a perfectly reasonable argument. He then spent the next eight years or so fighting an intermittent civil war against the assorted people who thought his claim was invalid. Some believed (or pretended to believe) that Richard II was still alive. The rest were for Mortimer. Henry Tudor – ruler by right of conquest? Henry VII ruled by virtue of a Parliamentary statute that acknowledged he was king. Though it is not generally acknowledged, all subsequent sovereigns of England have their ‘claim’ ultimately based on this statute. Now, given that in 1485 Parliament had the right to create a sovereign by statute, it follows as night follows day that they had the same right in 1483. The only difference is that Richard had an hereditary claim that it was possible to publish and justify with arguments, whereas Henry’s statute did not contain any reference at all to his hereditary claim. Possibly because there were elderly peers and prelates attending the Parliament who might have wet themselves laughing at something so improbable. It is surprising that so many Tudor devotees wish to stress the ‘conquest’ element of Henry’s kingship. In doing so, they are unconsciously arguing that the Tudor regime was an illegal and arbitrary tyranny, established against the law and custom of the land and against existing statute law – Titulus Regius. And ultimately with no more legitimacy than a German army of occupation would have had, had we been conquered in 1940. Which is a very odd position for a pro-Tudor person to take. If I were them, I should be inclined to put more stress on the accession statute. It was the new film, Into the Storm that started me thinking. Brendan Gleeson plays Winston Churchill and has commented widely on how ironic it is that an Irish actor is in the role. I recalled the rumours that Churchill fathered Brendan Bracken (a red-haired Irish-born MP and wartime Minister) and the fact that he too had red hair in his younger days. This is almost always the result of a Celtic gene but how exactly does it behave and where did it originate in his case? Bill, A Scots-Canadian Ricardian, pointed out that his daughter has red hair but neither he, his parents nor grandparents did although his maternal great-grandfathers did. I searched for Churchill on Genealogics and looked back four generations (as with Bill). No given ancestor sounded demonstrably Scots or Welsh whilst the Irish peers listed could have been English in their descent. I stepped back slightly further and found two Scottish Earls, which potentially answers the first question. Bill suggested that most people have a common ancestor within ten generations – one of 1024 – but there is an obvious flaw here. People, particularly the nobility, tend to intermarry so we have fewer unique ancestors to compare. If the theory really did apply, cubing that number to about 1.073 US billion would cover thirty generations or 750 years – back to Henry III’s struggles with de Montfort – to exceed the then population of the world. Because of duplication, we would need to go back further to pre-Conquest days or Alfred’s childhood. Physical proof of age (2008)? discuss a variety of issues that impact the performance of an athlete. tournaments like the Under-19 World Cup. too, but it was a much better procedure. It is sometimes asserted that Richard III ‘ought to have referred the legitimacy of the princes to a Church court’ or even ‘to the Pope’. Quite apart from the rather obvious fact that a late 15th Century Parliament was never going to allow the succession to be determined by a bishop or two, and still less by a foreign potentate, there was at least one precedent for Parliament effectively determining the legitimacy of an individual, at least as far as inheritance was concerned. The source, if anyone is interested, is the Parliament Roll of 1431. However, to tell the story, we need to go a little further back in time. Coincidentally, it involves a member of the House of York who was an ancestress of (among many others) Anne and Isabel Neville. Unfortunately, matters then took an unexpected turn. Constance managed to sneak the Mortimer heirs out of Windsor Castle – where the boys were being kept as state prisoners. She fled with them towards Wales (and Owain Glyndwr) but the whole party was overtaken and captured near Cirencester. Constance temporarily forfeited her lands and goods and was thrown into jail. Despite the licence he had granted, Henry IV now went to some trouble to obtain an alternative bride for Kent, importing the Lady Lucia of Milan from Italy. Lucia was supposed to bring a huge dowry – unfortunately for Kent (and his many creditors) it was never paid, and Kent himself was killed in 1408. Fast forward to circa 1430. Kent, Constance and Lucia are all long dead. Alianore Holland, having lived for some time under the protection of her half-sister, Isabelle, Countess of Warwick, has married James, Lord Audley as his second wife. This pair go to the Church court with evidence – of what quality or honesty we simply do not know – in an attempt to have Alianore declared legitimate and therefore heiress to her father. Kent had several sisters – indeed six of them – and those that were still alive, led by Margaret, Duchess of Clarence, and the heirs of the deceased sisters had long enjoyed possession of the Holland lands. You might think that they would have gone straight to the Church court to contest the Audleys especially since (this is known) Kent and Lucia had been married in regular fashion, in an actual church before witnesses that (according to them) included Constance herself! This latter fact – if true – should have killed the Audleys’ case stone dead. Instead they petitioned Parliament about the horrid injustice being done to them, and their petition was granted. In effect Parliament decided that – whatever the Bishop’s court might or might not determine – Lady Audley was not eligible to inherit her father’s lands. Moreover, there is no indication that Parliament gave any hearing to the Audleys’ case. Now I am the first to admit that this case does not precisely mirror the circumstances of the Edward IV-Elizabeth Woodville case. Obviously it doesn’t. And, sadly, we do not know whether the Church court decided that Lady Audley was technically legitimate or not. This however, is not the point. The Audley case of 1431 demonstrates that the Parliament of England was quite willing to rule on the legitimacy of an individual – insofar as it impacted on inheritance. And it would do as much for a private person, on the basis of a petition. So there is little doubt that it would have felt itself amply competent to rule on a matter which touched on the inheritance of the throne itself. What an interesting week this is. On 25 February 1475 Edward, son of the Duke of Clarence and Isabel Neville, was born. He already had an elder sister, Margaret, although two other siblings died in infancy. By his third birthday, Edward had lost both his parents and his father’s attainder barred him from succeeding to the Dukedom or the crown, however he did receive his maternal titles as Earl of Warwick and Salisbury. He became a ward of the Marquess of Dorset, then Constable of the Tower, leading to rumours that he was held there at some time. 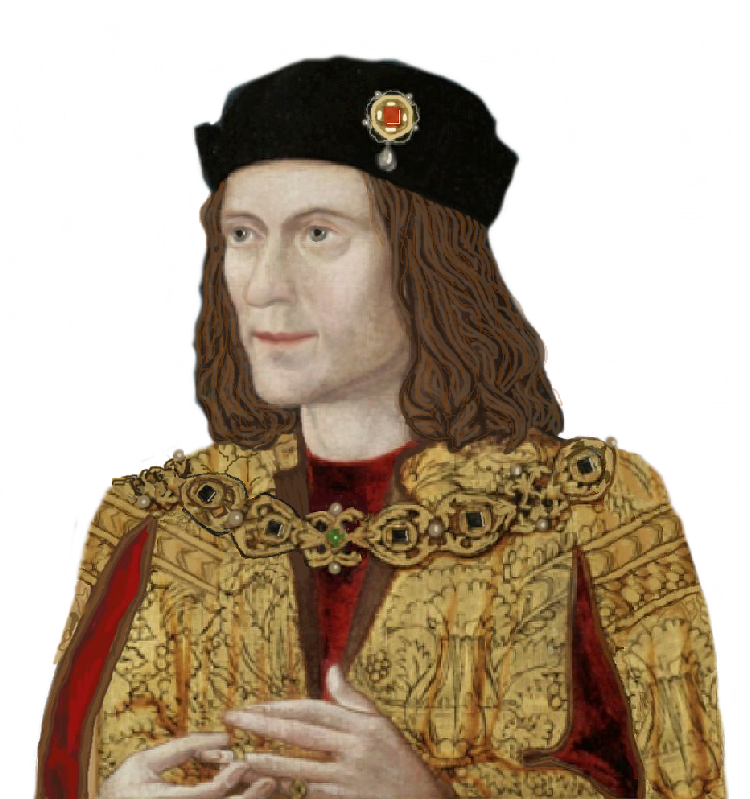 When the Three Estates petitioned Richard III to take the throne in 1483, Edward joined his household at Sheriff Hutton and is rumoured to have become Richard’s heir the following year. On the accession of Henry “Tudor”, he was moved to the Tower and left it only three times: once for display in 1487, once in November 1499 to be tried at Westminster for plotting with his possible cousin “Perkin Warbeck” to escape and the following week to be beheaded at Tower Hill. By 1492, he was the only known remaining legitimate Plantagenet as Margaret had married. On 24 February 1525 Richard de la Pole, the “White Rose” soi-disant Earl of Suffolk, was killed at the siege of Pavia fighting for France. He had been born in about 1480 to John de la Pole, Duke of Suffolk, and Elizabeth of York. He left for France and then Hungary in 1504, first with his brother Edmund but then alone when Edmund was captured by subterfuge and subsequently executed. Richard then took a command in the French army and planned an invasion of England, but this was deferred after a treaty. He then moved to Lorraine, thwarting an attempted assassination by a “Tudor” agent (Alamire) and then took part in the 1523-5 phase of the Italian (Valois-Habsburg) Wars under Francois I. His years in Lorraine are intriguing in that someone claiming to be his daughter (Marguerite) was born there. Although Richard came from a large family, only Edmund of his siblings is known to have had issue- and his daughter became a nun. Arlington Court is not a particularly old building but it commemorates a family that can be traced back to the Battle of Hastings, with a twentieth century twist. It dates from 1820, however it is the third or possibly fourth grand house to occupy the same site since the sixteenth century. The grounds are extensive and the circular walk is reputed to take an hour; there is also a Carriage Museum. The whole estate lies about seven miles from Barnstaple. Until 1949 it was the home of the Chichester family, Sir John having married a Ralegh heiress in 1385. The Chichesters were recusants from 1577 but maintained a loyalty to the Crown through the following centuries. Another John Chichester was awarded a Baronetcy in 1840 but left only one son and Sir Bruce’s only child was a daughter, “Miss Rosalie”. It is through her eyes (1865-1949) that visitors see the present house, as she survived her father by sixty-eight years and her mother by forty-one. Her many collections, including model ships and family portraits, and individual style dominate the many rooms. Sir Bruce’s widow married one of his cousins, Rector of the adjacent parish of Shirwell, and his grandson was the 1967 solo circumnavigator Francis Chichester, knighted on board his Gypsy Moth IV. The National Trust, to whom she left the house and grounds, added a model of this to his “aunt’s” collection. I am certain that she would have welcomed this posthumous augmentation. Following the comparison between the remains that purport to be Edward IV’s sons and those that purported to be Mrs. Crippen, we revisit early C20 crime, although in this case we can be sure that a crime took place. Critically, Mr. Justice Scrutton allowed evidence to be introduced that Smith had followed the same procedure in all three cases: “evidence of system”, by which the evidence in one case strengthened that in the others. He was convicted solelyof murdering Beatrice Munday but a precedent was created. There were other bigamous “wives” but Smith had been able to defraud them and flee. Now let us apply this principle to Edward IV. Between 1461 and 1465, he went through two secret marriage ceremonies with Lady Eleanor Talbot (older than himself and the widow of a Lancastrian knight) and Elizabeth Woodville (older than himself and the widow of a Lancastrian knight). There may have been more than two but Lady Grey, as Elizabeth Woodville had become, had an assertive mother and a few extra witnesses. Straight away, we can observe “evidence of system” and motivation: The bigamist Edward IV was led by his groin, much as the bigamist Smith was led by the love of money. BUTLER: Sorry, he is busy at the moment. DRIVER: Dauphin’s Sporting Goods here. I have a delivery for him; can he spare a moment to sign for it? Otherwise I’ll probably have to take it back to the warehouse. BUTLER: He is with some Lollards at the moment but will be free when they go out. Can I sign for him? DRIVER: I suppose so. He may be interested in our Ashes Memorabilia Catalogue, perhaps? CALL CENTRE WORKER: Hello, Animals for You. Can I help you? RICHARD: I want a horse! CCW: What sort of horse: size, colour, breed, gender? RICHARD: I don’t know, just a horse! CCW: I’ll try my best. Your name? RICHARD: Somewhere near Leicester at the moment, or is it Coventry? CCW: We will need a postcode. When would you like this horse? RICHARD: As soon as you can manage! CCW: We can try later in the week or you can pay a little extra for next day delivery. CCW: We only take debit and credit cards I’m afraid. How much does your kingdom amount to? CCW: Then there’s post and packing…. Additional inspiration from Stoppard, Flanders and Swann.